Huonville sits on the banks of the tranquil Huon River and is surrounded by fruit orchards, farmland and the peaks of the Tasmanian Wilderness World Heritage Area. The town makes an ideal base for exploring Tasmania's far south. Set low in the beautiful Huon Valley, Huonville is wrapped in scenery and close to some of Tasmania's most amazing natural places. 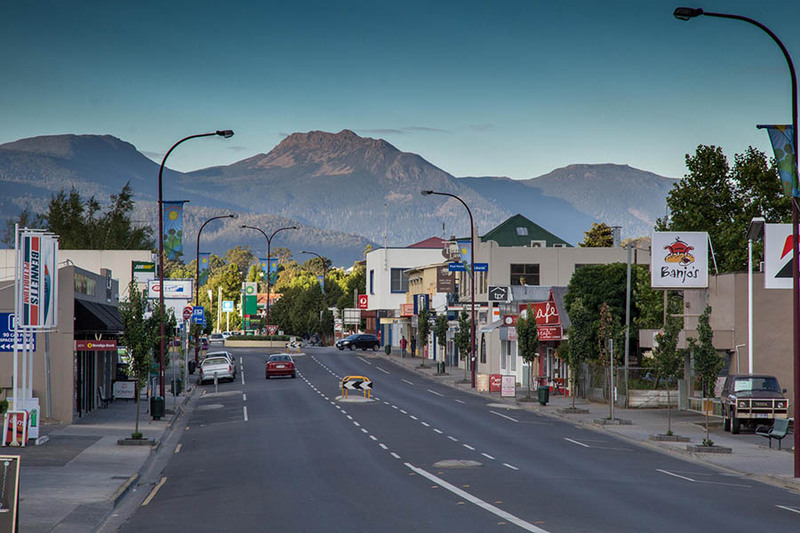 With the Hartz Mountains nearby, it's easy to see what inspires the local creative community and nature lovers alike. For those who enjoy fine produce, the surrounding area produces smoked and fresh salmon, honey, mushrooms, apples, apricots, plums, cherries, pears, wines, and cider– a veritable foodie's paradise. There's even a museum dedicated to the Huon Valley's famous apple growing story, one that continues today. Take a wander along the main street and Wilmot Road and find shops that sell a range of first and second-hand treasures from old books and bric-a-brac to new cakes and craft. The Huon River and nearby D'Entrecasteaux Channel are attractions in themselves and are popular for fishing and boating, high speed jet boat rides or maybe just a quiet walk along the foreshore. Huonville is the last major town before heading into Tasmania's south, so stop, take a look around and stock up for the journey or stay for a longer taste of the Huon. Huonville is a 40-min drive (38 km) south of Hobart.